Red is the symbol of pure love and passion. 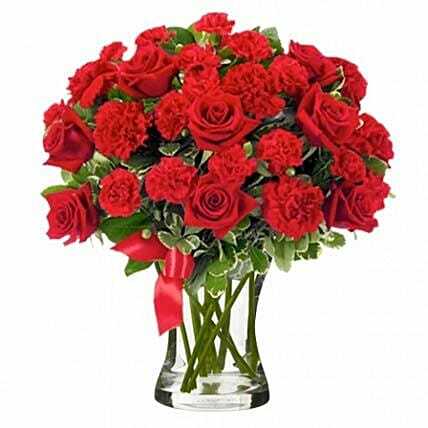 Make a statement with this elegant arrangement of gorgeous 12 red roses and 20 red carnations. It is the perfect way to send your love and thoughts.